On July 1, Cook County will implement a penny-per-ounce beverage tax on more than 1,000 everyday beverages, including juice and sports drinks, flavored waters, pop, iced tea. Even beverages with no calories and no sugar will be taxed. How much more will beverages cost after the tax goes into effect on July 1? And none of these costs include the City of Chicago’s 3% beverage tax and Cook County’s 10.25% sales tax! How will this tax affect Cook County residents and businesses? We cannot risk these devastating effects in Cook County. What has happened in other communities with a beverage tax? Residents, businesses and consumers have paid a heavy price. No. Taxes on common beverages or foods have never been shown to improve public health. Soda consumption has been falling since 1999 and is at a 30-year low, yet rates of obesity and diabetes have gone up about 24% during the same time period. If the two are connected, shouldn’t obesity rates have gone down with the drop in soda consumption? Cook County has announced it will use revenue from the beverage tax to fill budget shortfalls. There are other ways to generate revenue or make spending cuts in the County which will not result in 6,300 lost jobs, $321 million in lost wages and $1.3 billion in lost economic activity. 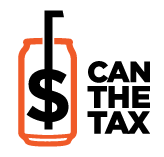 What can I do to help stop beverage taxes in Cook County? Join the fight! Register at www.StopTheCookCountyTax.com to send a message to your commissioner and receive updates on how you can get involved.